From left, Vanessa Peyron, Mary Jo Webber, Jana Sanchez, Daryl Warner. 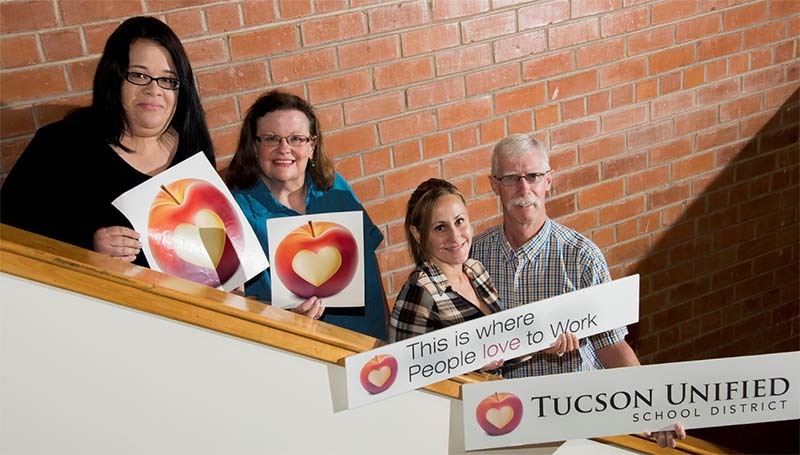 Meet Tucson Unified's Facilities Solutions Office. The group focuses on getting to the root of facilities problems by working closely with the schools and district trade shops. Each school has their own customer service specialist, and in addition to making routine site visits, they advocate for their schools. The department's goal is to ensure folks know they have a resource. This team is the heart of Facilities and can assist with getting the resources schools need to address their work orders.